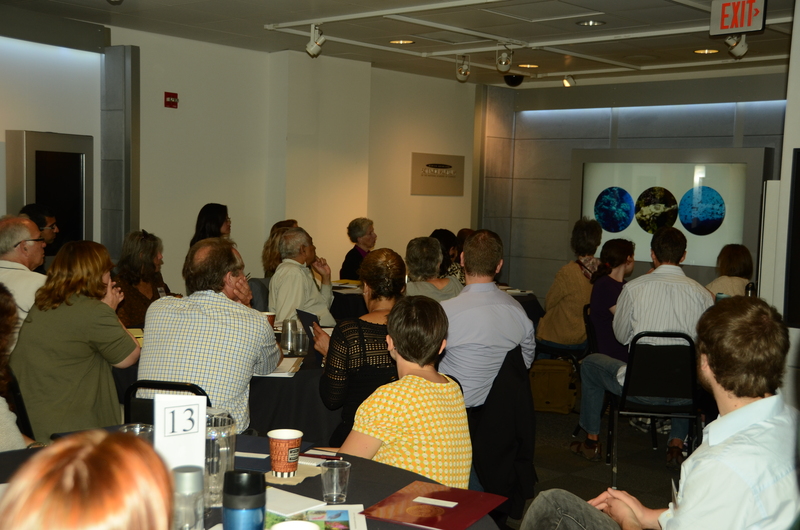 People around the globe gathered on September 15 to discuss concerns surrounding biodiversity. Biodiversity, short for biological diversity, describes the variety of life in existence. This can be measured as the number of genes encoded in a species’ DNA or in the range of the ecosystems present on Earth. Humans are putting increasing strain on natural resources, which can harm biodiversity. 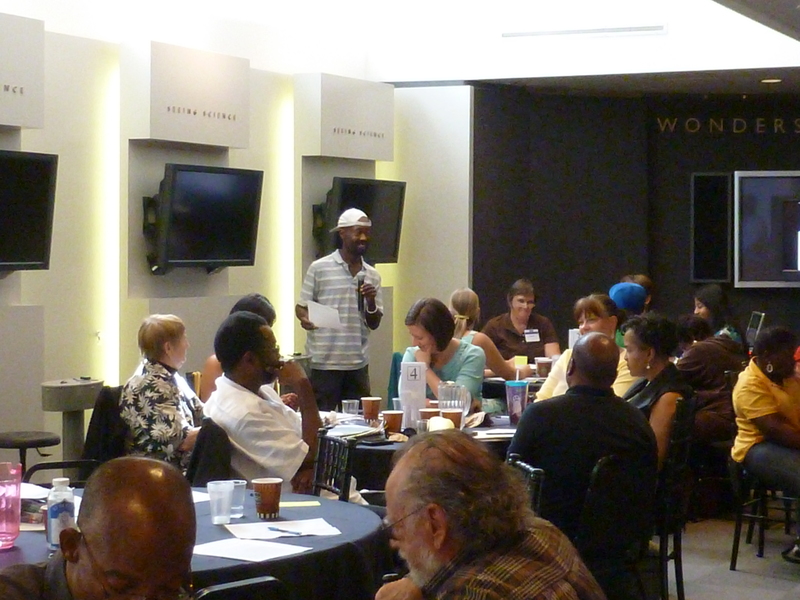 The goal of the day was for citizens to reflect upon, debate and prioritize these issues. The day’s conversation started well before dawn with the first groups gathering in Japan. 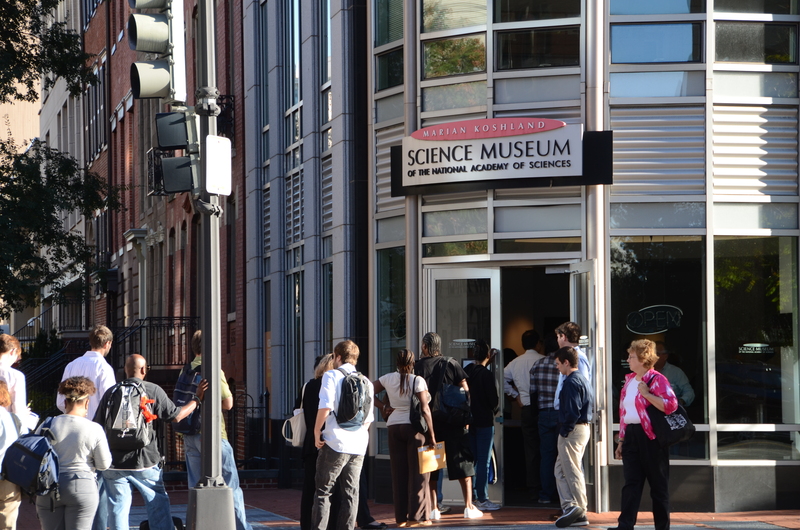 The conversations then progressed across continents, with a forum beginning here at the Koshland Science Museum in Washington, D.C., on Saturday morning. Participants represented a range of ages and backgrounds, views and opinions. A video introduction to biodiversity framed the vocabulary and background for the day’s discussion. Thematic sessions moved from land to sea and back again. After each session, participants voted on and prioritized the actions they would like to see taken. For example, who should bear the financial burden of protecting critical areas such as coral reefs? What is more important: the preservation of untouched land or expanding cultivated land to meet the increasing need for food? The global results of these votes will be presented to the United Nations’ Biodiversity conference in October in India. It was critical that the participants were as representative of the local demographics as possible, explained Dr. Mahmud Farooque, Associate Director of the Consortium for Science, Policy and Outcomes at Arizona State University and one of the lead organizers of the meeting Washington, D.C. “It was hard. Some of the participants don’t have a computer or the internet, some live in shelters, but their input is necessary to get the most comprehensive view. Being able to reach out to those communities and giving them a voice was one of the greatest satisfactions of this day,” he reflected. Continue the conversation on biodiversity by voting in a poll and sharing comments in the Koshland’s latest web challenge. The poll is open through Saturday, October 20. To see more from the forum at the Koshland, tour the online photo gallery. Contributed by Carolyn Graybeal. Carolyn holds a Ph.D. in neuroscience from Brown University and conducted her graduate work at the National Institutes of Health. Carolyn is currently a Fall 2012 Christine Mirzayan Technology and Science Policy Fellow at the National Academy of Sciences in Washington, D.C. She is interested in science education and science communication. 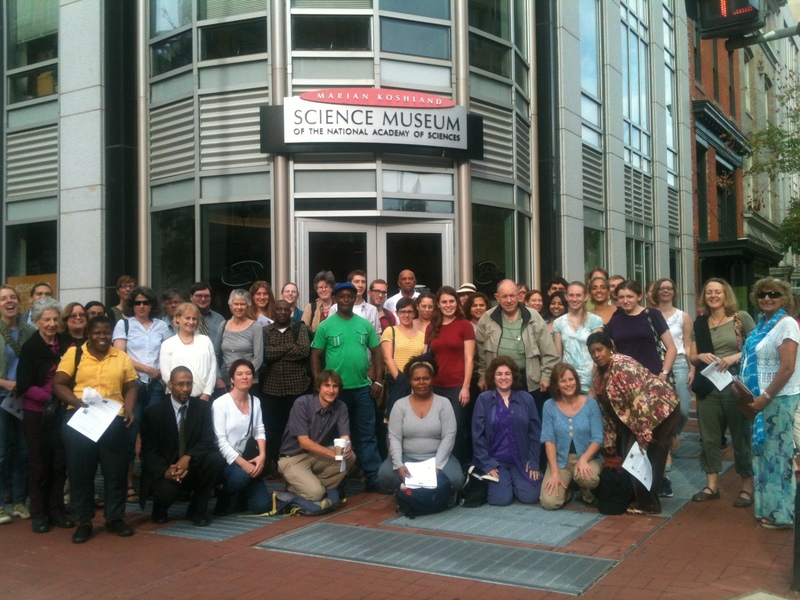 Next Broader impacts: how WWViews sparked middle school collaborations.